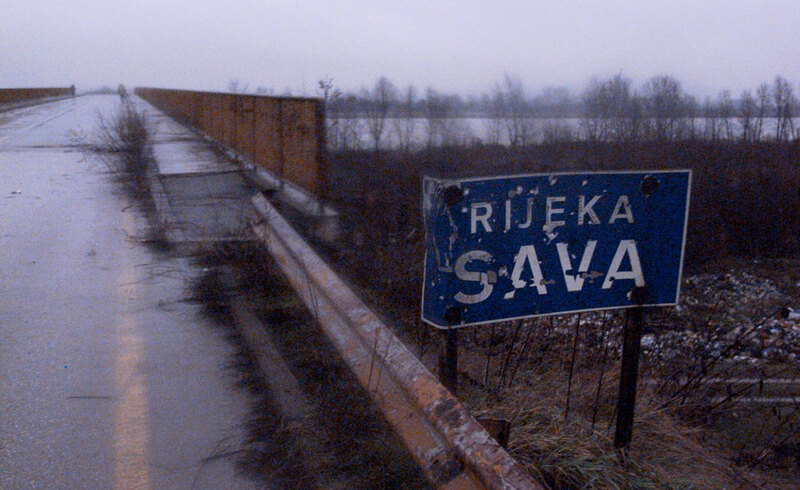 A sign on the banks of the Sava river near the village of Orasje, Bosnia-Herzegovina. The Croatian army destroyed the bridge in 1991, to prevent the Yugoslav Army from crossing over. This was the bridge that connected Bosnia-Herzegovina to Croatia. It was near this village that the US Army crossed the Sava river to take up the peace keeping duties ending the conflict in the region.